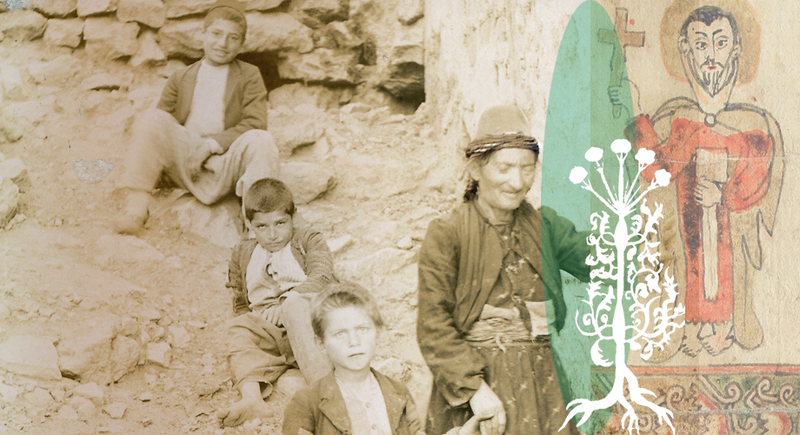 Like in other Armenian communities, traditional or folk medicine was widely practiced in Hadjin. The practices and methods of this discipline had their roots deep in the history of the people and the city, harkening back to medieval Armenian medicine, which had later been influenced by the teachings of the Cilicia school of medicine. Folk medicine in Hadjin comprised traditional and popular medications and medicinal mixtures, as well as home-grown medical theories, which included unique approaches, knowledge, and beliefs. The mountainous climate of Hadjin, its wholesome weather, and its clean air and water were always huge advantages for the city, in terms of public health. Still, some ailments seem to have plagued the people of Hadjin on a more-or-less permanent basis. These included Malaria, Typhoid Fever, Yellow Fever, Dysentery, and other infectious diseases, which constantly hung over the population of the area like swords of Damocles. Generally, at any given time, the prevalence of these diseases was inversely proportional to the quality of medical knowledge and the currency of advanced medical techniques in Hadjin. As in many other places at the time, when residents of Hadjin needed medical attention, their first resort was the traditional healer, often called the hakim. These hakims usually had a basic grasp of medicine, often had particular talents in diagnosing illnesses, and despite their limited knowledge of modern science, provided a crucial service to their communities. 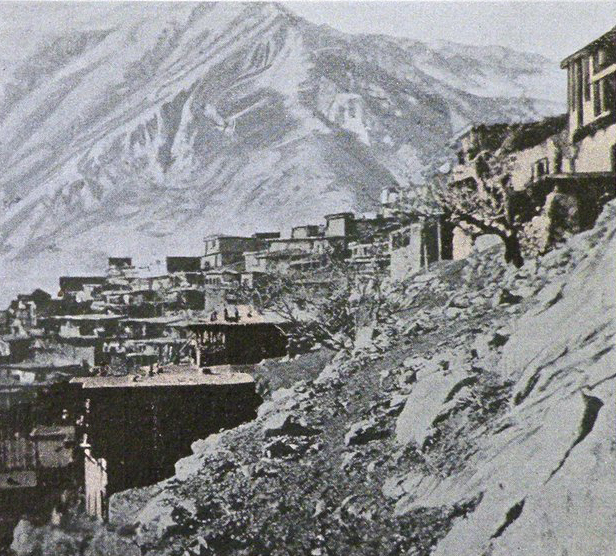 They were the guardians of the health and well-being of the residents of Hadjin and its environs, and for that reason, enjoyed great prominence within both the Armenian and Turkish communities. According to Topalian, this family was in possession of at least five ancient, hand-written manuscripts that contained information regarding medications, hypnosis, esoterica, mathematics, and other sciences and arts. Additionally, the family owned an old book of medical recipes, which included directions for creating more than 232 potions and medications. This limited information that we are privy to indicates that the practice of medicine in Hadjin was firmly rooted in medieval knowledge and naturalistic healing. It is not difficult to deduce that the above-mentioned book of medical recipes was probably written in one of Cilicia’s famous monasteries. It is likely it was a copy of one of the works by Mkhitar Heratsi, the founder of Armenian classical medicine, who lived in the 12 century. Another possibility, even more plausible, is that it was a copy of one of the works of the 15 century doctor Amirtovlat Amassiatsi. His works enjoyed a wide circulation in Armenia, as well as outside of it. This renowned healer, it seems, was in possession of only a few token medical instruments. 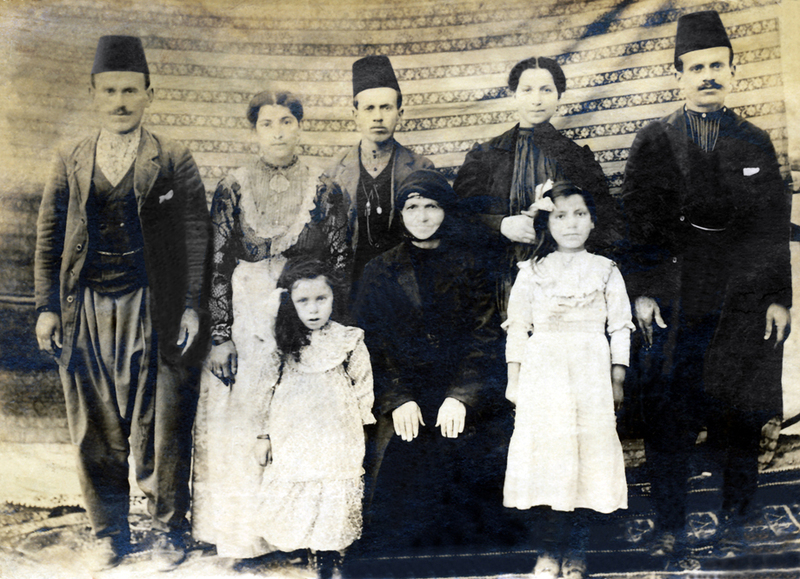 Dr. Hagop Redjebian, who was Hadjin’s first proper, accredited doctor, upon his return to Hadjin from America in 1888, as a token of his respect for Hadji Balents, gifted him a selection of modern medical instruments. It is also said that that Dr. Redjebian, upon his return from America, was summoned to appear before Hadji Belents, who said to him “You have earned your many stripes, now let me give you another one,” and taught him how to cure Syphilis,  an act that was later to prove a great boon for the people of Hadjin, as Dr. Redjebian saved many lived using the techniques he had learned from Hadji Balents. Hadji Balents’s cure for Syphilis was also developed using information he gained from the book of medical recipes at his disposal. His method was based on what we now call pharmacology, herbal medicine, as well as nutritional science, and resulted in him creating a potion that was a mixture of mercury and several herbs. Beside this potion, he also prescribed a strict dietary regimen to his patients suffering from Syphilis. They were only to eat unsalted yeast bread (sourdough bread) and vegetable soup for forty days. It is said that he cured many who suffered from this dreadful disease using his methods. Syphilis was widespread at the time, including in Hadjin, and it is easy to imagine why finding a way to treat it was one of the primary priorities of the area’s healers and doctors. Source: Mesrop Mashtots Institute of Ancient Manuscripts (Matenadaran), number 6594, 17th and 18th centuries, Stella Verdanian, History of Armenian Medicine, from Prehistory to Present Day, Yerevan, 2000, page 200. A traditional type of medical practice involved springs that had been considered sacred since pagan times, and whose waters had been ascribed curative properties. Later, many of these springs were found to be beneficial for people suffering from different types of diseases, due to the composition of their waters. For example, people who suffered from skin diseases bathed in mineral springs, and they reaped the benefits of the minerals in the water. There were many of these mineral hot springs near the villages of Keotun and Panlek, at a distance of two-and-a-half hours from Hadjin. These mineral springs had been known ever since the days of the Armenian kingdom of Cilicia, when Armenian kings had established colonies and hamlets near the springs for lepers and those who suffered from other similar diseases. This is reflected in the names of the villages. In the local dialect, Keotun (Keshoutyun, “evil” in Armenian) denoted terrible diseases, and Panlek was the locals’ way of saying Paghnik, Armenian for “bathroom.” Unfortunately, in subsequent years, these springs dried up, leaving ugly scars across the landscape. 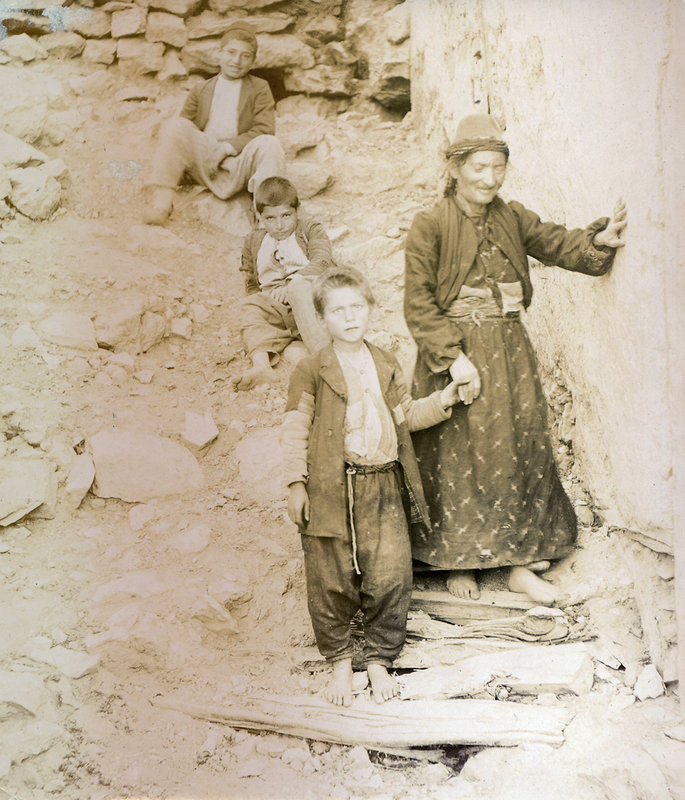 Residents of Hadjin suffering from skin diseases often made journeys all the way to Zeytun, to make use of the mineral springs there, as well as to drink the water of many clear springs in that area. The mineral springs near Zeytun were known not only for curing skin diseases, but also for relieving symptoms associated with issues of the stomach, the liver, and of menstrual cycles. -A specified amount of Mercury was added to yogurt, and the resulting mixture was fed to the patient during meal times. From ancient times, Mercury was known both for its healing and toxic properties. This chemical element was present in many traditional panaceas and preventive tinctures, in several cultures across the world, and was also used as an antibiotic agent. The healers of Hadjin made generous use of it. Some beliefs and behaviors related to health were so deeply rooted among the population, that over time, they were transformed into traditions and rituals. We must understand that the people of Hadjin, during these years, still held syncretic religious beliefs, influenced greatly by local, ancestral, pagan traditions. Thus, the practice of medicine combined rudimentary science, folklore, prayers, and dietary regimens. In fact, many of these traditional forms of medical care have survived into modern times. For instance, the people of Hadjin put great faith in curses and amulets. Many thought that keeping amulets under their pillows at night would protect them from evil eyes and evil forces. Although many of these beliefs may seem foolish now, at least some of the amulets they used, to this day, have proponents. One such example was their use of Serpentine stones (Lapis Ophites), which were prescribed to prevent headaches, epilepsy, and many other disorders. The reference here is not to a particular school, but to the general practice of medicine in the Cilicia area that dates back to the Middle Ages. This prayer scroll or amulet (written in 1682) was taken to Akhaltsikhe (Georgia) by a family from Erzurum/Garin that survived the Armenian Genocide, and until recently, could still be found in the village of Tamala near the city. It is currently kept at the Matenadaran Institute in Yerevan, Armenia. As of the date of this writing, it remains unindexed.